No more store bought pesto! This homemade version of fresh basil pesto will completely change your world of Pesto n Pasta! 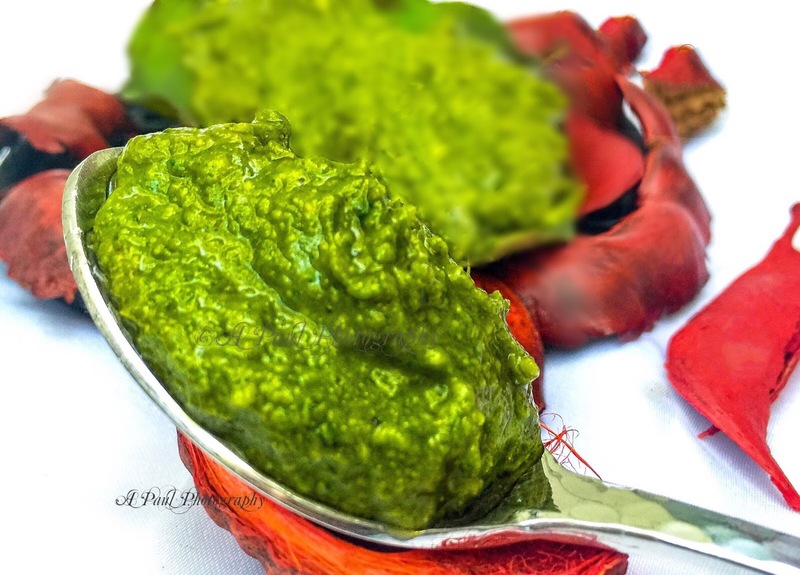 FIVE main ingredients, processed together to the most versatile and vibrant Basil Pesto Sauce! Let me tell you if you're still using the store-bought pesto, believe me, this homemade version of pesto will be a revelation with its fresh ingredients and the best olive oil. Though there are many types of pesto ruling over these days, let's stick to the basic Italian version, with my personal spin! Toss everything in the food processor. Pulse a few times. Add more olive oil and cheese. Yes! 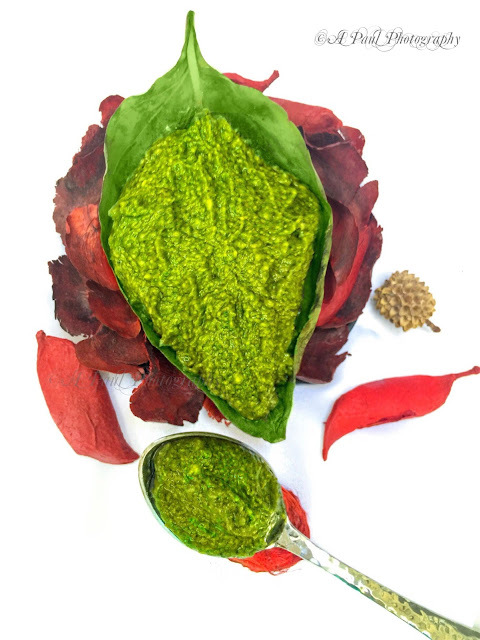 in the exactly same manner we do with spinach leaves while making the exotic Indian 'Palak Paneer' recipe. 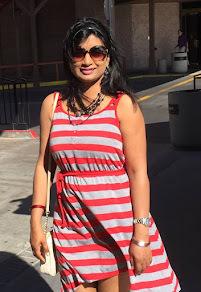 I still remember how 'Nani Maa' (Grandma) used to make green chutneys in mortar and pestle. Never got that taste and texture in food processor or blenders. 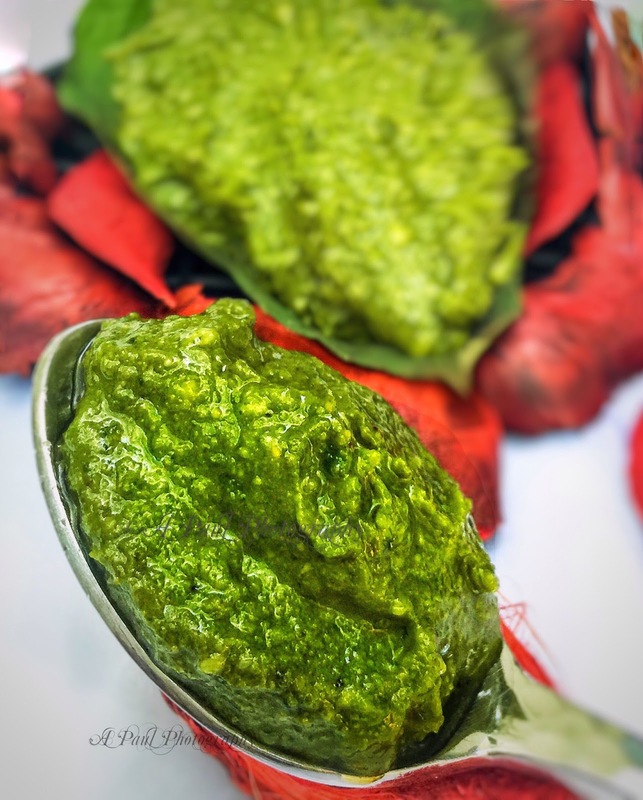 When making Basil Pesto at home, you can control exactly how runny or thick you want your pesto to be. Just be sure to add more olive oil until your desired consistency is reached. If, by mistake, you over-churn your pesto, without any worries, add more of cheese and olive oil, without churning anymore. To make the pesto, prepare basil, pine nuts and garlic as mentioned above. 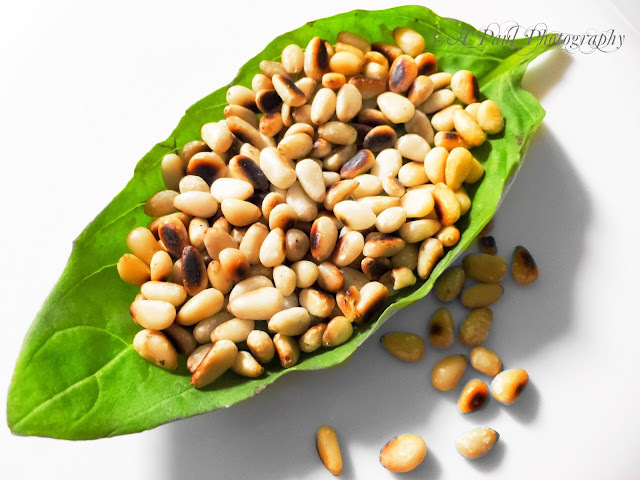 Combine basil, garlic, pine nuts and tablespoon of olive oil in the bowl of a food processor. Pulse a few times. With the motor running, add cheese and olive oil in a slow stream until emulsified; set aside. Add salt and freshly ground pepper, if desired. Add more olive oil on the top before closing the lid.